The SQL CE version of mojoPortal is the absolute easiest package to use, because it does not require additional database software to be installed and requires zero configuration effort for the database, it just works. 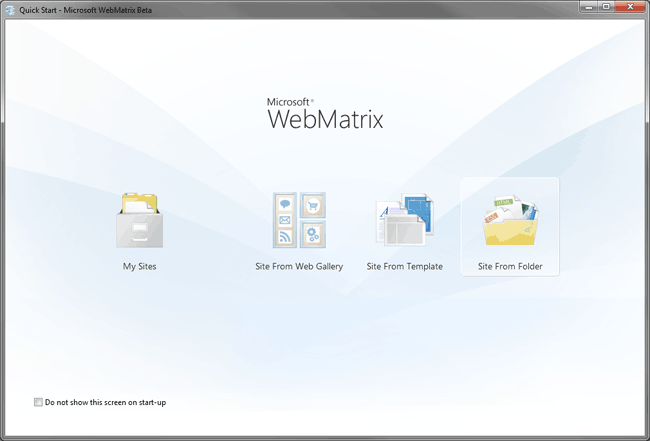 Using the IIS Express web server included in WebMatrix make is even easier to run mojoPortal on your local machine. 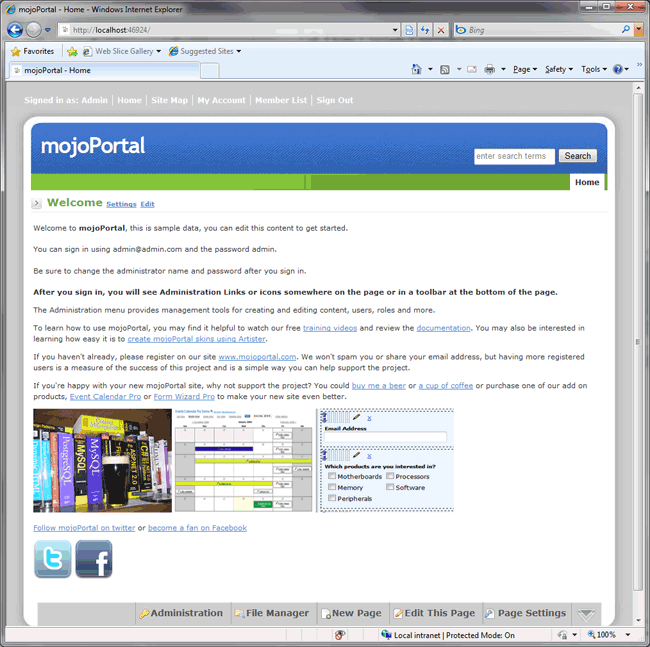 This article well show step by step with screen shots how to use the mojoPortal package for SQL CE with WebMatrix. 1. 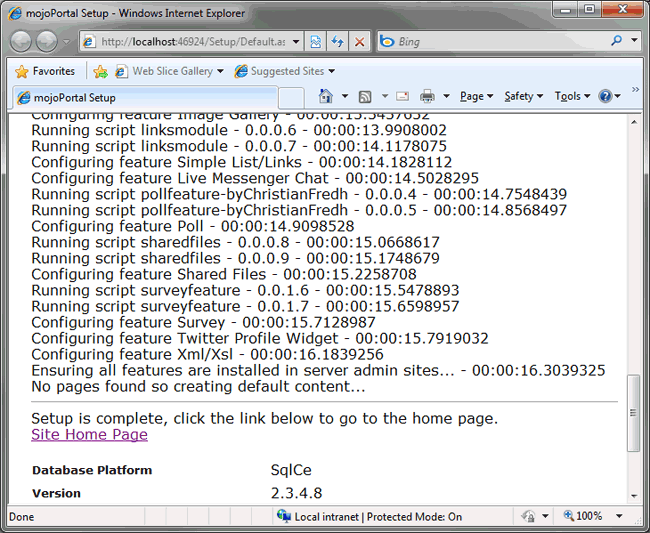 Download the latest mojoportal-x-x-x-x-sqlce-net40-deploymentfiles.zip file from Codeplex. 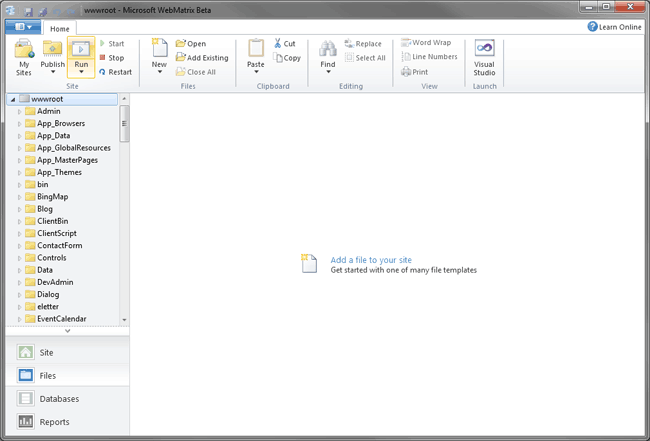 Note that in the screen shot, I also have downloaded and extracted the mojoPortal package for SQL Server. In a follow up article I will explain the easy steps to migrate mojoPortal from SQL CE to SQL Server. 4. 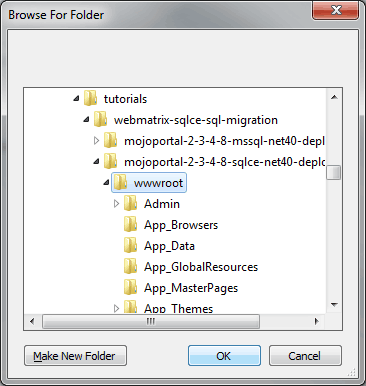 Simply browse to the wwwroot folder in the extracted files from the mojoPortal SQL CE package. 6. 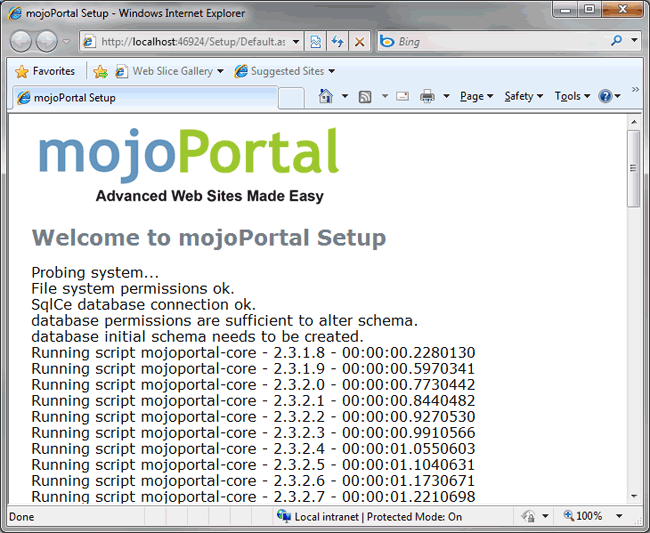 When the web browser opens mojoPortal, it will detect from expected errors that the SQL CE database has not yet been created, so it will redirect to the /Setup/Default.aspx page which will create the SQL CE database automatically and then run the installation scripts. 7. After the setup routine finishes, scroll to the bottom of the page and you will see the link for the home page. 8. Click the home page link and then you can login as admin@admin.com with the password admin. 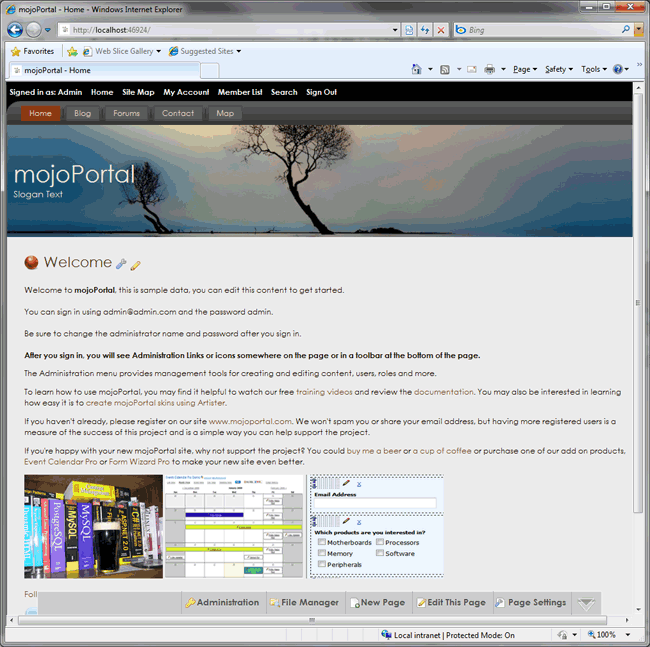 9. mojoPortal is very intuitive to use, but you can get up to speed more quickly if you review the documentation and video tutorials. In the screen shot below I have added some pages and features to the site and changed the skin (there are quite a few included skins).